The U.S. Senate has finally unveiled their legislation to repeal the Affordable Care Act—and it is even worse than the version we saw from the U.S. House. The Better Care Reconciliation Action of 2017 is is a nasty bill that will hurt millions of Americans and it is time to stand up and urge your Senators to reject it. The Senate plan will cut coverage and raise costs for millions of Americans while giving a huge tax break to the wealthiest individuals and large corporations. The cuts to Medicaid will be massive and will destroy the system that so many Americans rely on. Written in secret, by a few select Senators from one political party, this bill will leave millions of Americans without health insurance. If this backroom bill passes it will fundamentally change the way laws are passed in America. Transparency and openness in the legislative process are important because they improve the final product and this bill clearly has the deep flaws that result from its secret drafting. Don’t let secret legislation that threatens the lives of millions of Americans become the law of the land. Call your Senators today! CALL the Capitol Switchboard (202) 224-3121 and tell your Senators that the Better Care Reconciliation Act of 2017 is not worthy of this great nation. Guarantee that pre-existing conditions can’t be used to deny coverage or raise rates. Ensure that Medicaid recipients can continue to receive full health care services. You can also email your Senators using our form below. It’s your turn to make your voice heard. 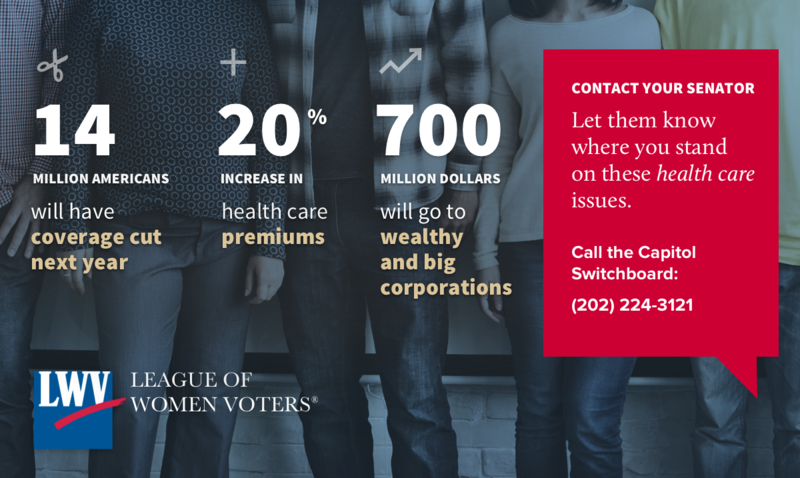 Call or email your Senators today and let them know where you stand. We need a plan that reflects the American values of fairness, community, and concern for all. Experiencing difficulty with the form? Please note that the the first field only requires your street name and number. Do not enter your city and state.